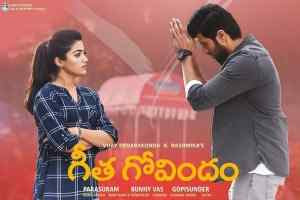 The film Geetha Govindam was released on vacation of Independence Day (August 15th). The film has got terrific response from audience being small story line. The film gave nice smile in form of genuine laughs. The Vijay’s market has increased after Arjun Reddy Success. The movie is doing fabulous work with interesting collections 10 crore on opening day and collected $400k in US. The film has overtaken ‘Mahanati’ collectons on first day and became 4th in 2018 films. The second day not being holiday the film has collected 9.25 crore with $200k in US. The film has totally collected 19.25 crore for two days. The movie expected to collect 50 crore on first week.